Do you frequently use credit cards or debit cards? If you do, then you should know how to protect yourself from credit card fraud. While technological advancements over the last few years have made credit card transactions more secure, criminals have still found ways to victimise people As such, you should educate yourself to avoid being a victim of fraud yourself. Here are some tips you should consider. 1. Use a credit card with embedded chip. The chip is the safest technology available today because it cannot be copied by criminals. 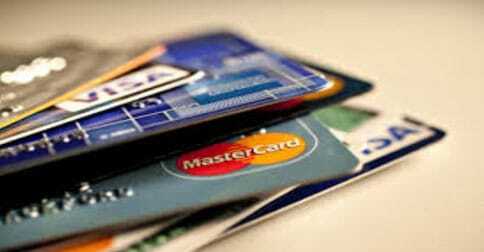 Most criminals are looking for the magnetic strip to copy and chip cards do not rely on magnetic strips for purchases. Therefore, if your credit card or debit card doesn’t have a chip embedded, you should go to your bank and ask for a card that has this safety feature. 2. Consider using mobile phone payment methods. Your mobile phone can add another layer of protection like fingerprint recognition at the time of each transaction. As such, if the technology becomes available to you, you should consider using mobile phone payment methods, like Apple Pay and the just announced Samsung Pay, to protect your credit card information. 3. Use INTERAC Flash Tap Payment. With INTERAC Flash Tap Payment, you can quickly pay for small purchases without having to worry about other people knowing your PIN. Aside from easy purchases, you can also use the tap method to pay for up to CAN$100 per transaction. If you go over the limit, you will be prompted to insert your card and enter the PIN as an extra safety measure. 4. INTERAC is not susceptible to retail data breach fraud. INTERAC cards are great options to consider because unlike the credit cards and other debit card products, they don’t use the numbers on the front of the cards as an account number. Instead, they are used only as an identifier for INTERAC transactions. This basically means that if someone else got a hold of your card number, that person won’t be able to use that information to conduct transactions either online or in person. 5. INTERAC has zero liability policy. Another reason why you should consider using INTERAC payment methods is that the company has a zero liability policy. These payment methods are well protected against any fraud losses. They are considered the safest in the world. Fraud cases in Canada have dropped by 88% since their chip and PIN system has been implemented.